The Jerusalem Post reports: A “terrorist” group launched a chemical attack that killed five people in Aleppo on Tuesday, CNN quoted a Syrian government official as saying. Meanwhile, an Anti-regime group stated chlorine gas canisters were dropped in Idlib province. If the two attacks are connected is still unclear. 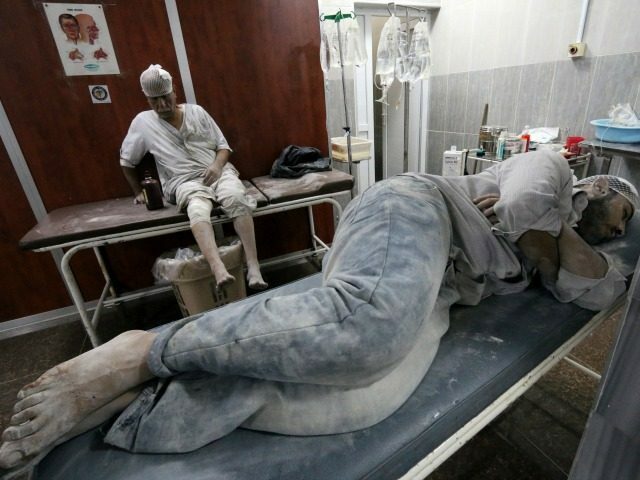 Regarding the Idlib attack, a team of opposition groups, the Syrian National Council, said, “Developments on the ground show how the Assad regime continues to blatantly ignore international law and UN Security Council resolutions, especially those related to the use of chemical weapons,” CNN quoted. The incident took place in the same area that a Russian helicopter was downed on Monday, killing all five passengers.